Looking for a fun new tradition to ring in the holidays? 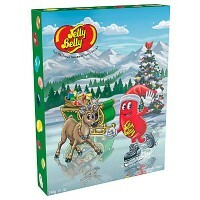 Jelly Belly Beans Advent Calendar is a delightful way to countdown to Christmas. 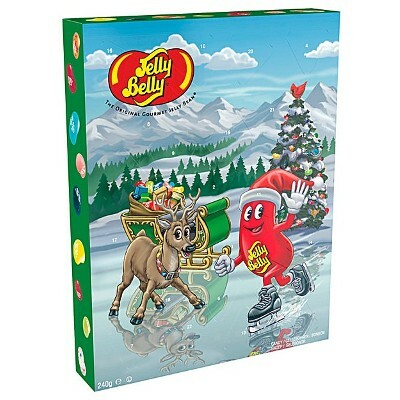 This whimsical calendar contains numbered compartments with a different flavor of Jelly Belly jelly beans for each day until Christmas Eve. Enjoy the fruity goodness of this popular US treat with this 8.46 oz. advent calendar all through the holidays! Nutrition facts (for 100g): calories 360Kcal, total fat 0.2g (saturated fat 0g), total carbohydrate 92.4g (sugar 70g), protein 0g, salt 0.5g.